Hello, my name is Jackie Lippert. This school year will be my 34th year of teaching. I have been at Hellgate Elementary for 27 years. During my years as a teacher I have taught 1st Grade, 2nd Grade, 3rd Grade, 6th Grade, and Title I. Each year has a been different learning experience for me. I find I gain so much from each class and their different personalities. It is the constant change that makes teaching such an exciting job. My interests outside the classroom include traveling, scuba diving, working in my garden, and water skiing. 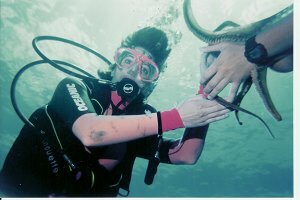 I love share my diving experiences with the students so be prepared to hear a lot about underwater adventures.